Village Chalet - walk to the lake and village! Staying at Grant's place was a true vacation. Not only did he accommodate my family and I beyond expectations; he made the process one that was unforgettable. The home was peaceful, clean, and the beds were the most comfortable beds I've ever slept in. 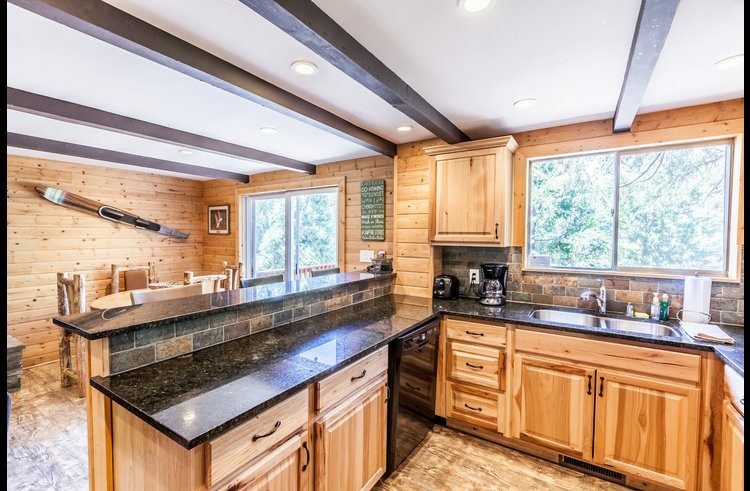 The kitchen is well equipped, as well as the living room. 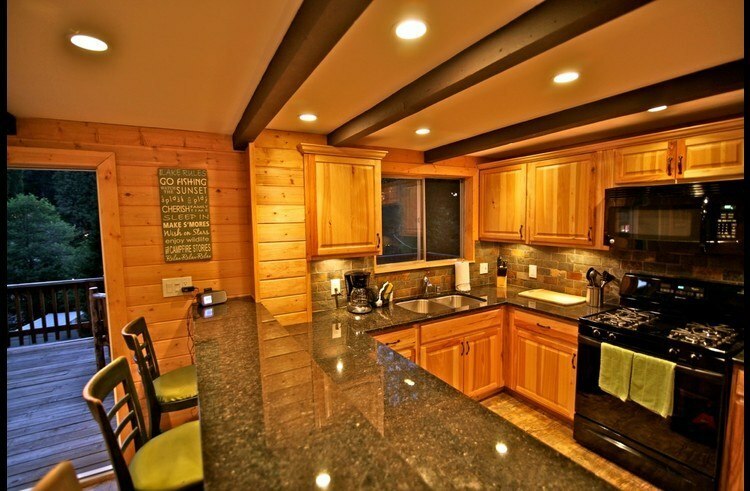 The crisp mountain air, the recessed lighting, and upgraded appliances truly creates a lovely mountain getaway. The weekend wasn't long enough to enjoy this place. 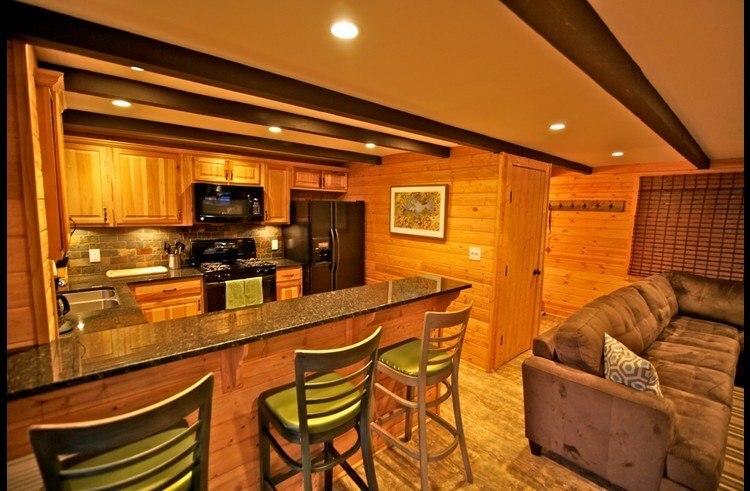 We are already planning for our next stay at Village Chalet. This was our first time on vacation as a young family and had a great time! The location was perfect - walking to the village (and running back when we forgot something) couldn't be beat. The kids LOVED the bunk beds. The master bedroom had enough room for a pack n play for the little one. The deck at night was fantastic. Before heading there, we had questions about the possibility of fishing and Grant was very responsive. Thank you for a great vacation! 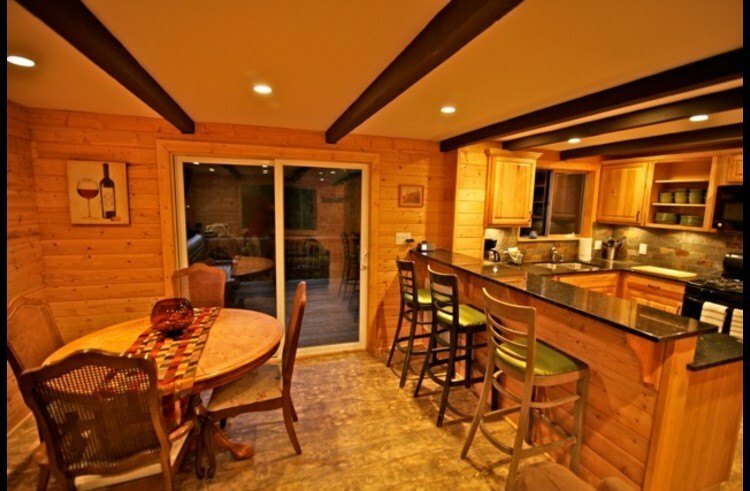 Review for Village Chalet - walk to the lake and village! Place was beautiful and fully equipped with pretty much everything you really needed. Location was spot on which was walking distance to the village where restaurants, shops, grocery, etc. were. 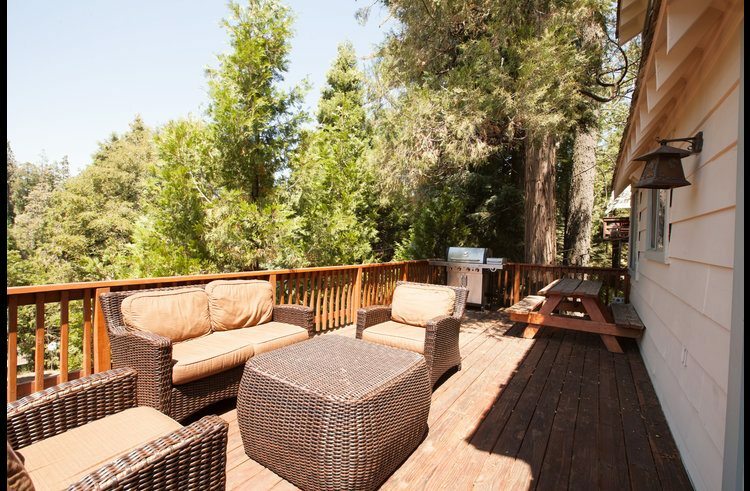 Loved the patio deck where my wife and I enjoyed breakfast in the morning and a glass of wine at night overlooking the stars! 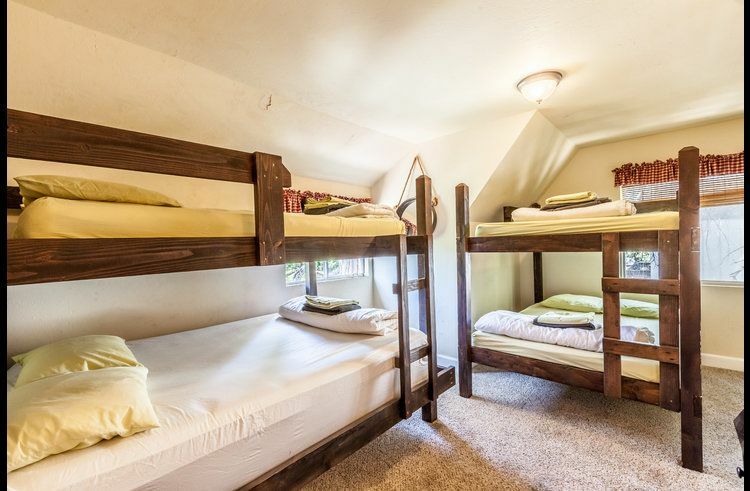 Kids enjoyed the bunk beds and it was a great room to keep all of them together. Only a 15-20 min drive to Lake Gregory for the kids. Another plus! Will definitely stay here again in the future. Highly recommend! The village chalet was a cute little place. The balcony was s nice place to sit at night or in the morning. It was clean and cozy. The village is a 2 minute walk so we didn't really need our car. The kitchen was stocked well and had plenty of intend to cook with. The property was super fun and I will definitely use Grant again. He was easy to communicate with and very helpful in answering questions. 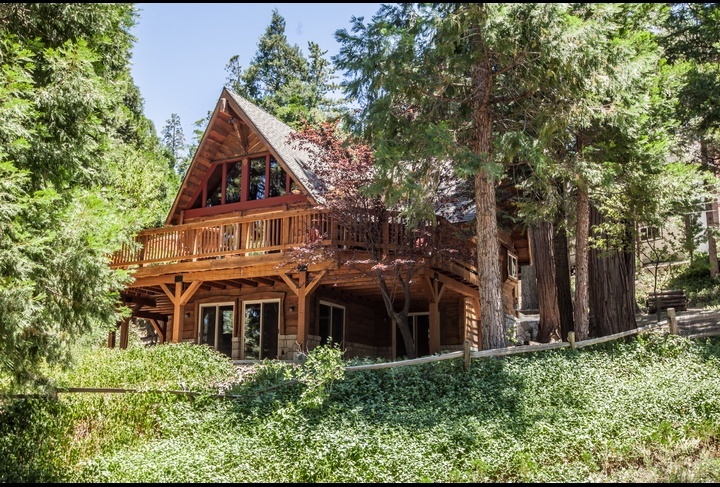 Cozy little cabin in a great location. Patio view was very peaceful. The host was extremely attentive and helped make our stay very comfortable. I would definitely recommend staying here. Grant, Once again, can't thank you enough. This Christmas really was a great time spent with my family at the Village Chalet. We have a lot of fun memories from the trip. Thanks again for your generosity and making this possible. In all honesty, it means a lot to me personally, and I know it meant a lot to my family. Happy New Years to you and your family and I hope you all had a very blessed Christmas! Blessings to you all! Thank you so much for letting us stay at the Village Chalet. Our family enjoyed it very much and had such a great experience. 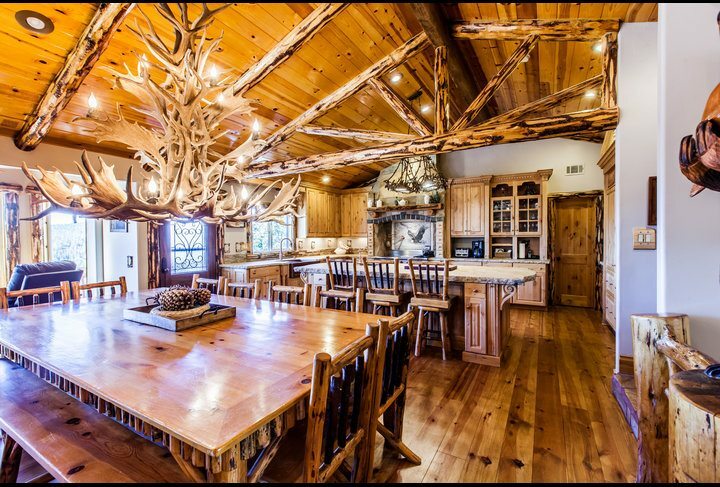 It's a beautiful cabin! Hope to rent from you again. We will definitely be planning another trip and will refer all of my friends to you! 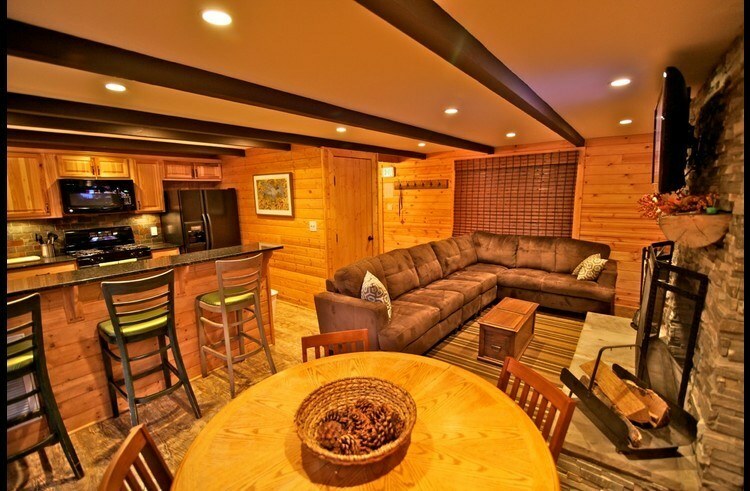 We had purchased the Village Chalet Cabin for the Halloween weekend with 10 of our friends. 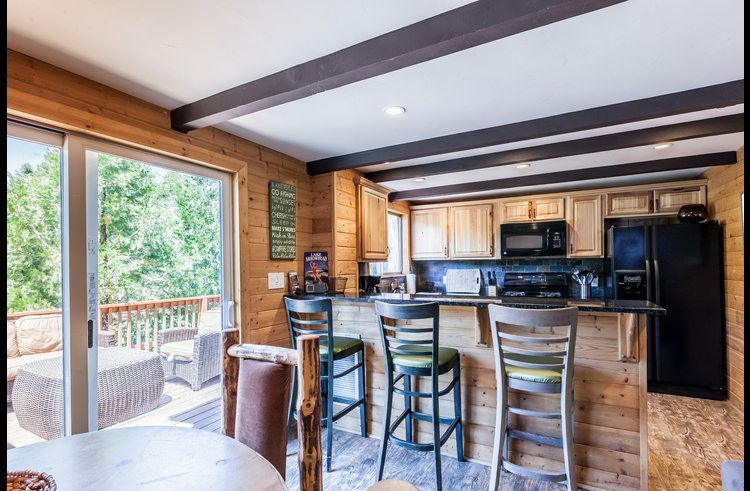 To our surprise the Cabin was in great condition with granite counter tops, basically all new appliances in the kitchen, flat screen TV, and all the movie channels your little heart can bare! The cabin was also equipped with plenty of extra CLEAN bed sheets, clean comforters and bath towels. 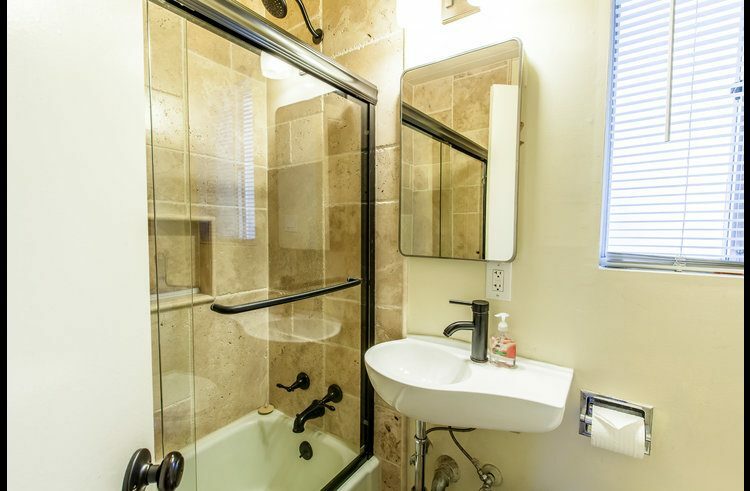 Besides all that, my favorite part of this rental was it's LOCATION! IT was literally a 2min 37 sec walk to 7-11 which was nice to if you needed anything that you may have forgotten to bring. 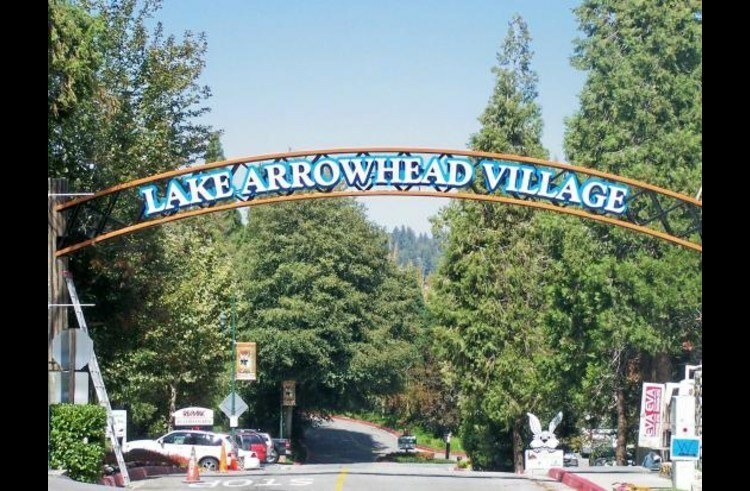 Also Arrowhead Village is an easy downhill 5 minute walk(if that) with heaps of cafes, shops, bars, restaurants and a Stater Brothers. A representative always responded promptly to any questions or concerns that I had. We had an absolute 100% positive experience and we are already planning to use this company again for our next "Cabin in the Woods Adventure." We were 8 all together. We had and 8 yr old and a few teens. We fit perfect. Well stocked kitchen. Coffee pot worked great for us. Loved spending time on the deck but quickly get hot. No umbrella. Comfortable beds, The house itself was comfortably warm and the blankets on the bed were plenty. 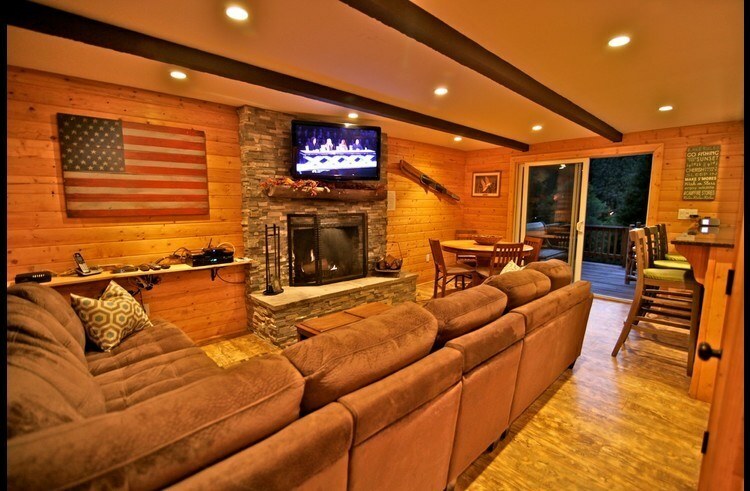 Beautiful cabin, we had everything we needed. GREAT location! Perfect size for a family. Grant was awesome with communication and really was available to help us during our stay! Thank you Grant! 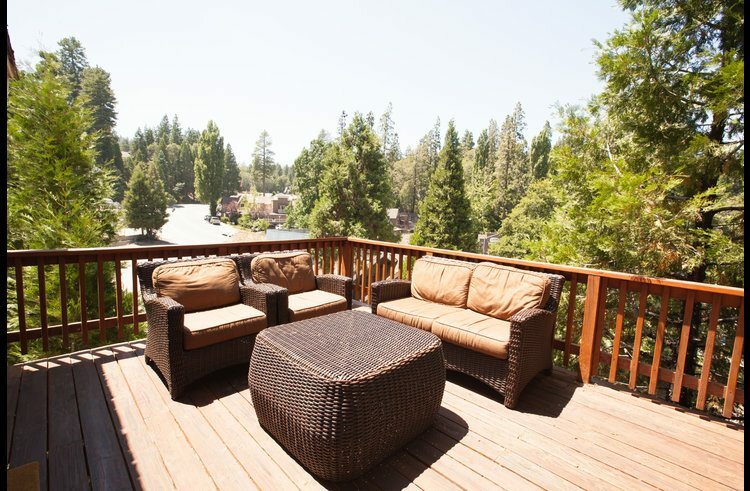 My family and I really enjoyed our stay at the cabin in Lake Arrowhead. It was close to everything we needed and we loved being able to sit on the big patio. We would definitely stay here again. Village Chalet was a very cozy spot for my friends and I. A very close walk to Arrowhead Village and the lake. The kitchen was stocked with everything we needed and we were able to cook all the meals there. Nice place for the weekend get away! Great place! So cozy and close the village. Very comfortable stay. Love it. The property was perfect for an early fall visit with beautiful weather. It's a short walk to the village and its amenities, stores, supermarket, restaurants, etc. 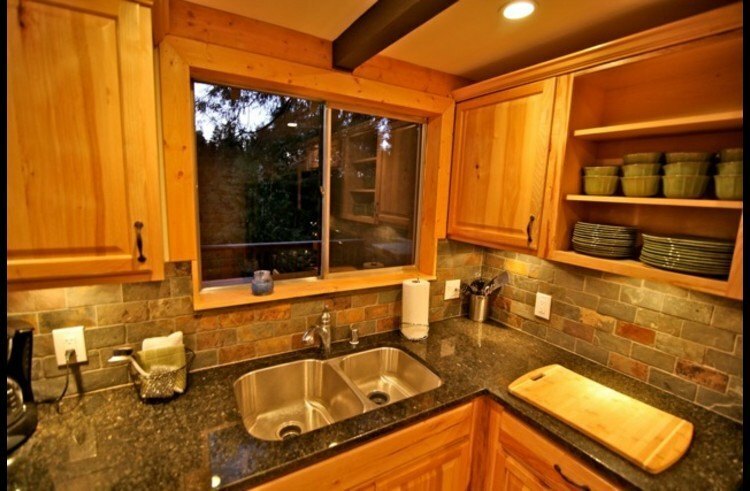 We used the kitchen facilities as well as the barbecue on the spacious deck. Relatively easy to get to (and no trouble parking), but cabin occupants might find it a tight fit for 10, stated capacity for the unit. In winter there might be some problems - unpaved, uneven road outside front door; no double-paned windows. All in all, for the four of us it was a really enjoyable getaway at not so great a distance from home. 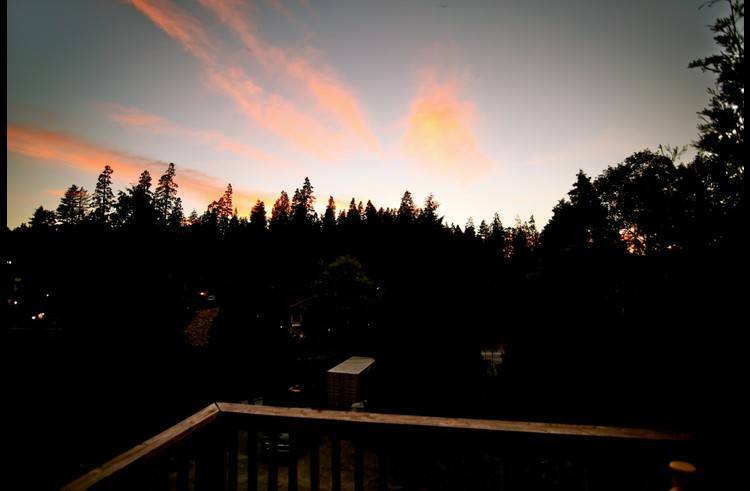 My family and I just got back from Lake Arrowhead and we had an amazing time there. We got to walk to the village and lake since it's about a five minute walk. 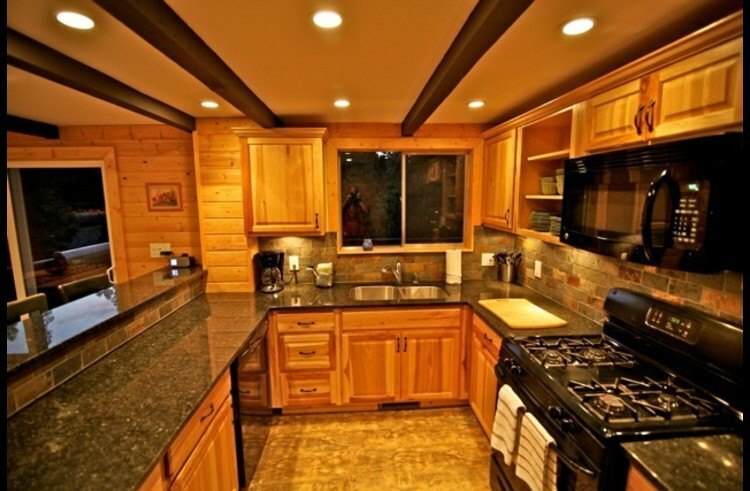 The cabin was clean and had everything you need to make food. It hailed/snowed for one night while we stayed here and it made it so much more memorable for my two year old son. We made mini snowmen out on the large porch which was the perfect place for my son to play with snow. We only used the bed downstairs and it was very comfortable. The hot water works very well and heats up fast so I was very happy about that. 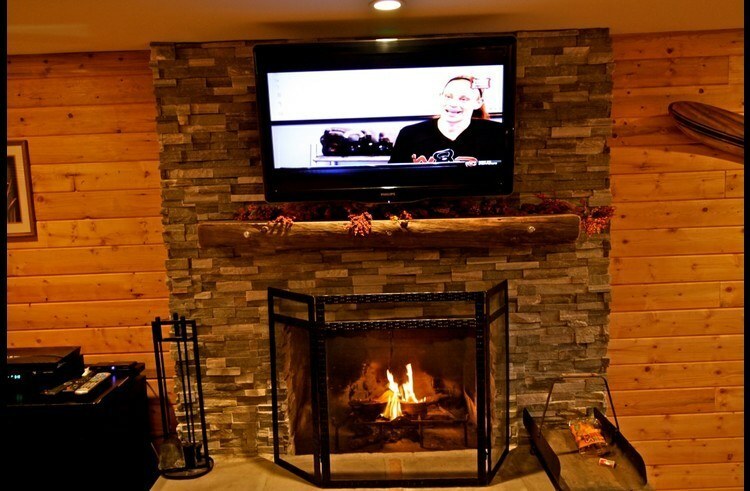 We definitely had a great time here and would love to be back for a longer stay!! Had a great weekend at the village chalet. Grant's home was beautiful and the deck is the best part about it.. We spent most of the weekend relaxing on the deck and barbecuing. 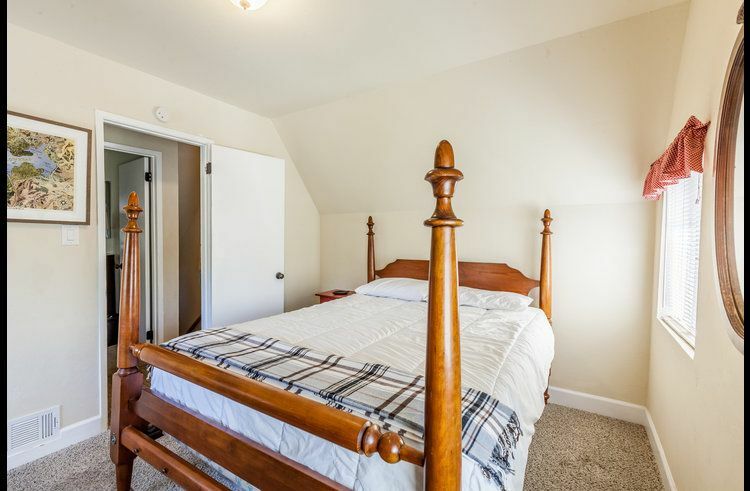 There is plenty of bedroom space for larger parties and so much to do in the area with everything walking distance! I would definitely stay here again! My family had a blast, we didn't want to leave!! 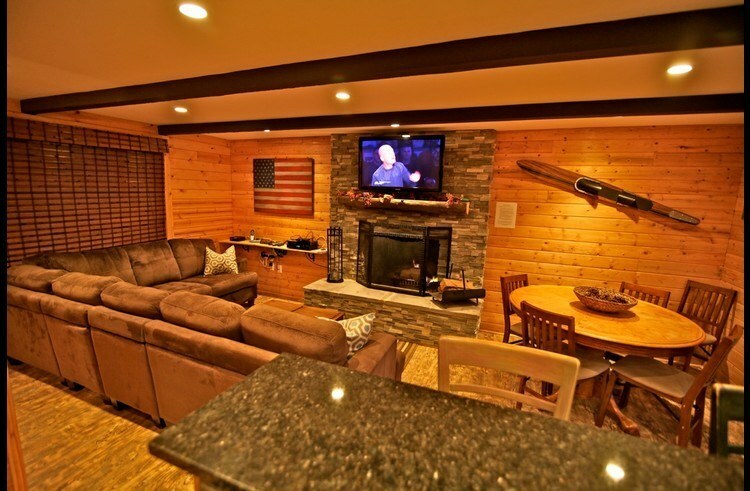 The cabin was supplied with everything we needed and more, and grant was extremely helpful!! Thank you for everything!!!! 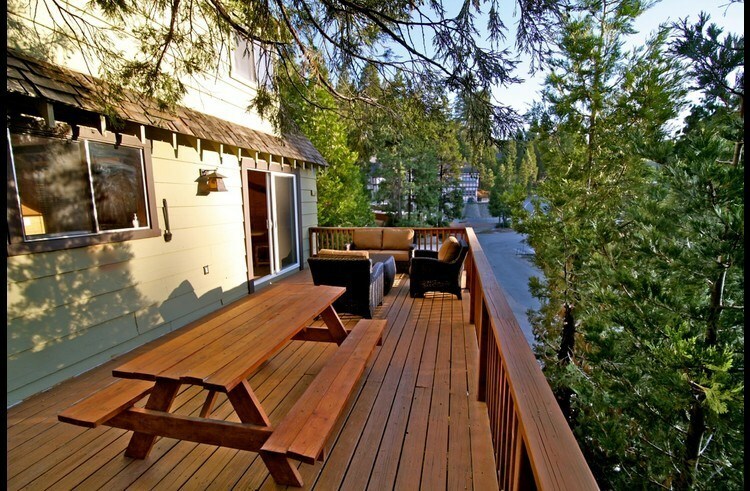 Great Getaway for even a large family This property, by definition is convenient. It is as close to the village as you can get. Easy walk to the village. 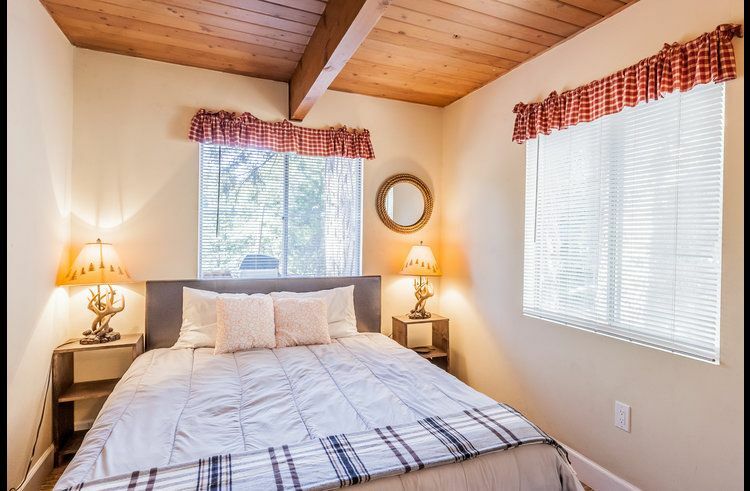 The accommodations were very nice, wireless internet, cable TV, nicely equipped kitchen, beautiful patio, comfortable and clean patio furniture and a large, comfortable sectional couch. The master bedroom bed was too soft for our liking, but with 6 other beds to choose from, that wasn't an issue. I might add that all of the other 6 beds were bunk beds, but were very large fro bunk beds (seemed like queen size to me). My wife and I slept together on the lower bunk without a problem. Since it is so close to Village, it was quite noisy at night, so we had to close our windows. There is no air conditioning, but they provided fans. The night temperature was still cool enough, that even without air conditioning and the windows closed, we were comfortable with just the fan on. The "single parking space" they say is available below the cabin is really small and narrow. Our Tahoe did not fit in it. 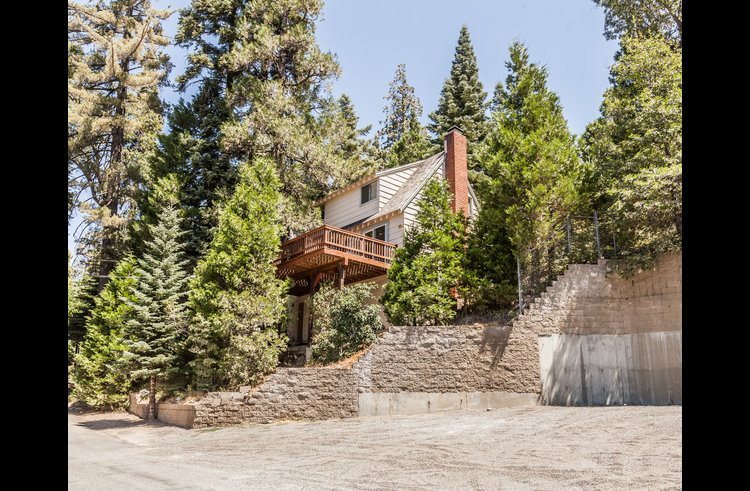 There is nice parking at the house level, but you have to go down a narrow, unpaved road for about 200 feet to get there. this road is not plowed in the winter and I think it would be too steep to make it with just a two wheel drive. Overall, we had a fabulous time and have already booked a second getaway for Thanksgiving week this year. Great Location, Well Maintained Property We stood a few days at the Village Chalet for a small family getaway. The location is extremely close to the village and since we were traveling with 2 small children it was nice to be able to walk instead of dealing with carseats. The property was a good size for the 4 of us. 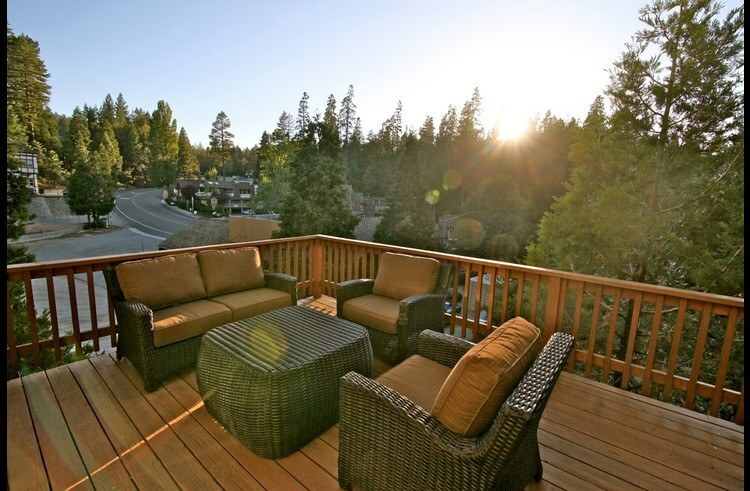 The deck was nice and provided an area to enjoy the outdoors, there is some traffic noise, however, it's a small price to pay for being so close to the village. 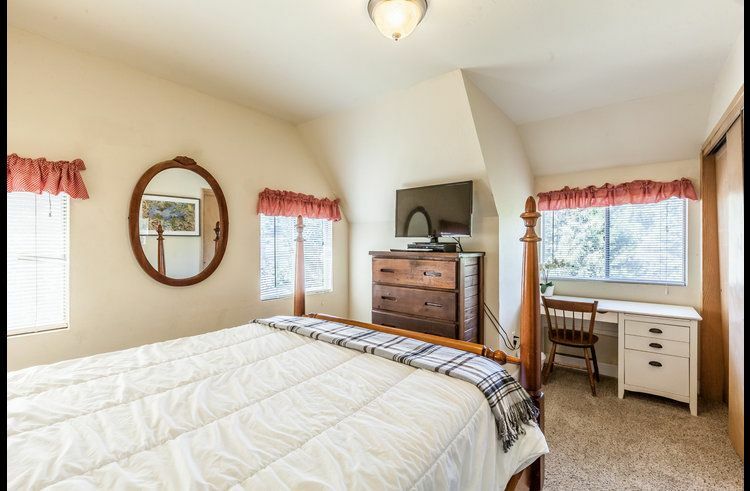 The property itself is very nicely maintained and the property management company does an excellent job keeping everything clean and in working order, it may have been one of the cleanest properties we've stayed out. The kitchen is also well stocked with cooking pots/pans/etc. We look forward to returning again. This was a great place for our group of friends, and there was plenty of room for all nine of us. 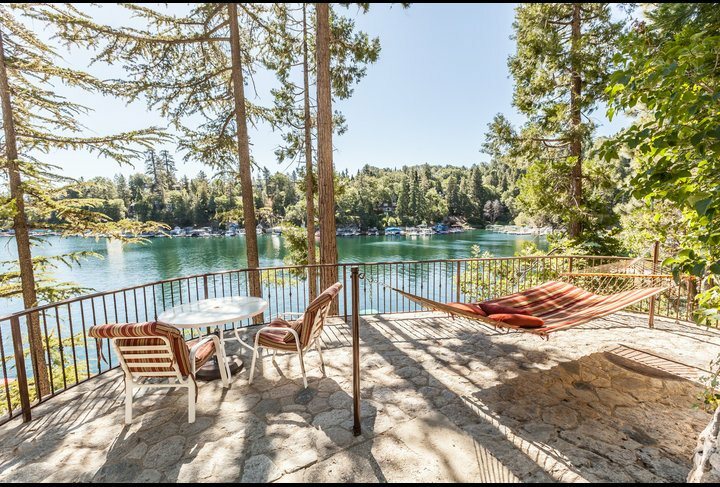 The proximity to Lake Arrowhead Village is definitely the best part; we could easily walk to the grocery store, restaurants, bars, etc. 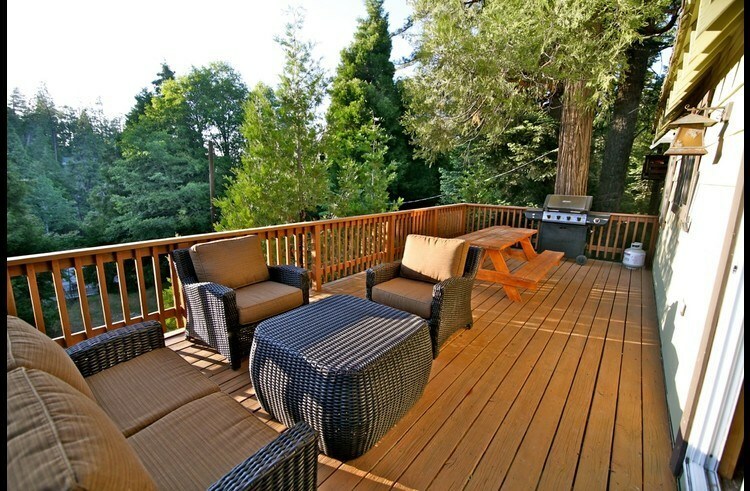 and the deck space was great for just hanging out and relaxing. 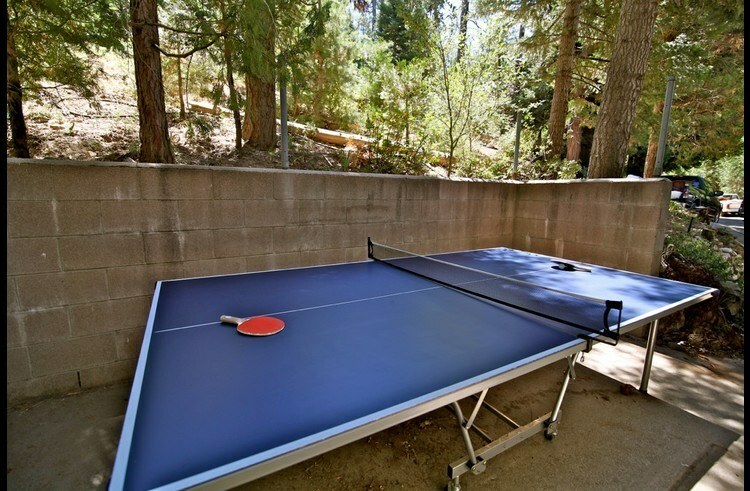 Would highly recommend the property for groups of friends or families. I am a student at Pepperdine University and wanted to organize one last great skiing trip for my family before I graduated. Grant made this trip possible! He was extremely fast to respond and was incredibly helpful! The place was lovely. It was cozy, warm, and charming. 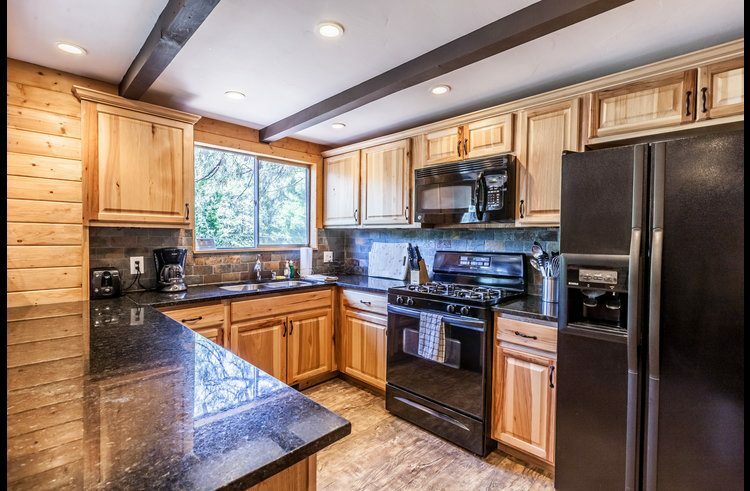 It is a beautiful kitchen with plenty of accommodations. Everything felt fresh and new! There was plenty of room for a family of four, and felt like a home away from home. There were plenty of dishes and silverware for breakfast/lunch/dinner. 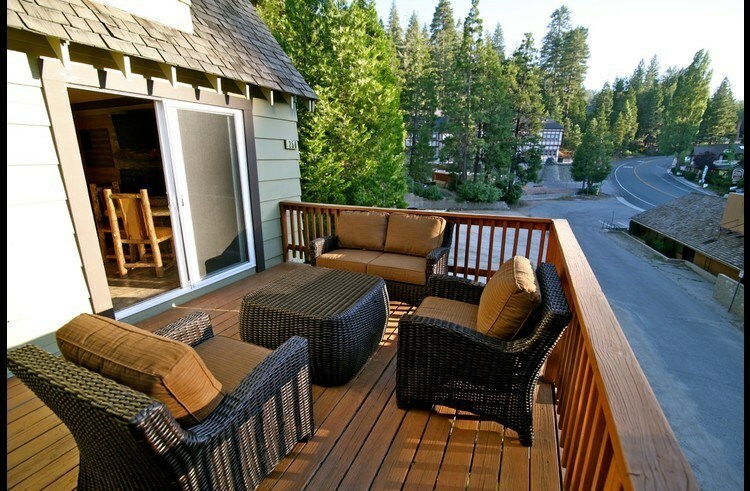 We enjoyed grilling on the balcony at nights with the provided gas grill, and we also loved making fires while enjoying movies at night. 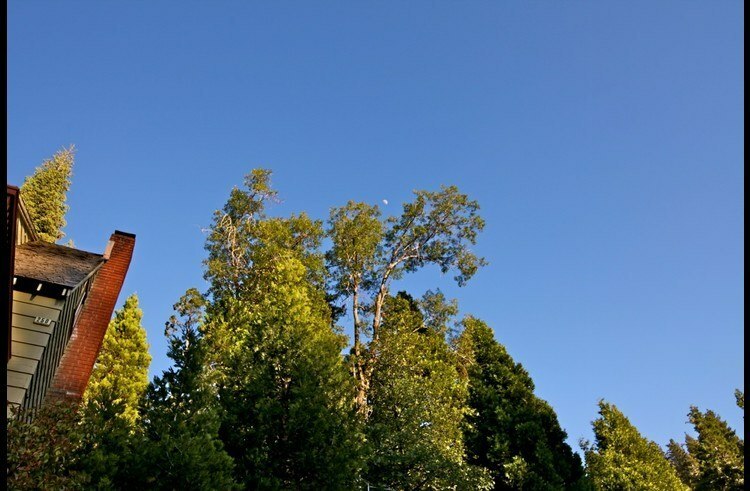 If you want an opportunity to get away from the busy city life and enjoy a quiet retreat where you can spend time with family or friends, then this is where you want to be! 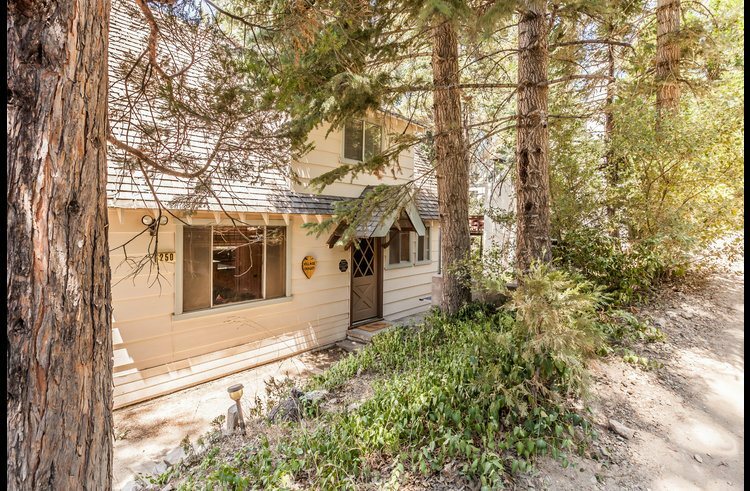 The "Village Chalet" is literally right next to Lake Arrowhead Village which was perfect for walks in the morning to get coffee and a pastry at the local bakery! We also enjoyed shopping at the small outlets and shops they have set up in the Village. And don't worry all you city Starbucks addicts - Starbucks is only a short 5-minute drive away!! Before you arrive, we received an email from Grant with very simple, clear instructions on how to get there, and how to get into the house. After walking in the door, there is a wonderful book of instructions and suggestions for what to do around the town. 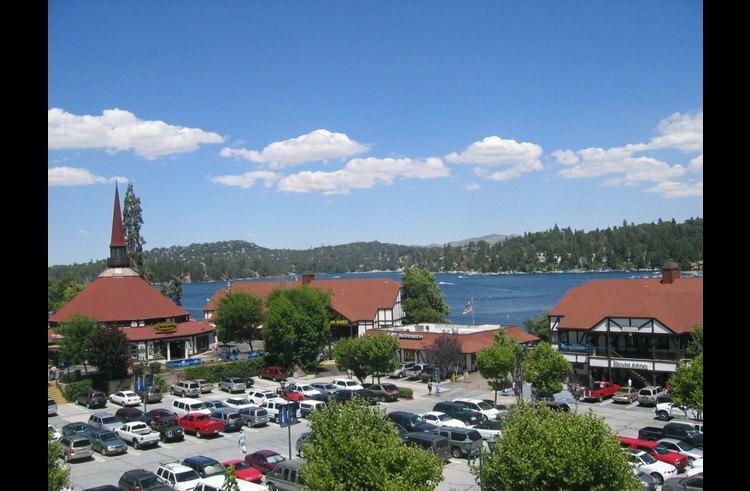 This was our first time to Lake Arrowhead, and we truly enjoyed spending time in the city, shopping, and walking around the small mountain-town! 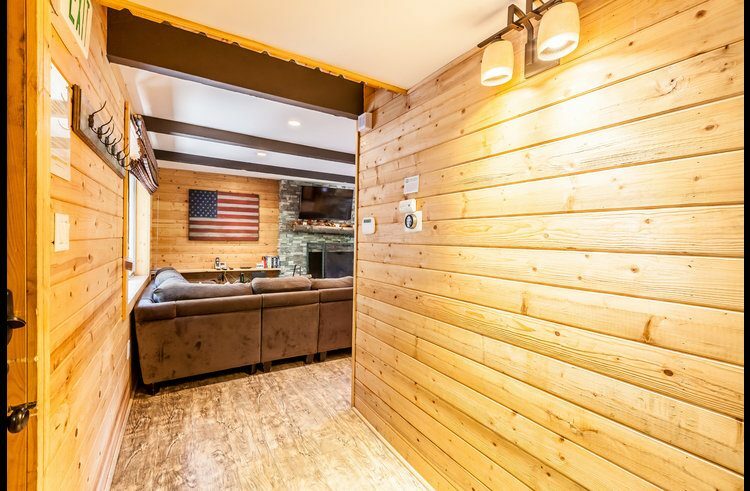 We spent our time as a family skiing/Christmas vacation, and the house was located about 20 minutes from Snow Valley - also a great, affordable place to ski/snowboard! 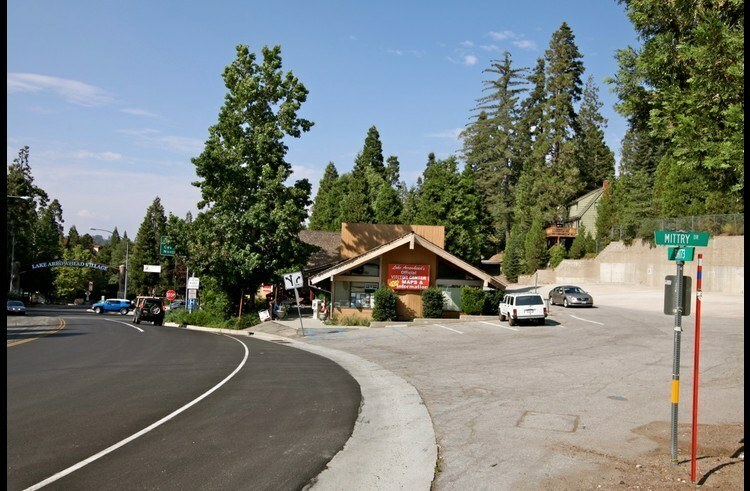 We had no problem getting to and from the mountain, though when we arrived at Lake Arrowhead, the snow on the roads looked like it had been cleared for about 2 days. I don't know how easy it will be to get to the mountain the day after a snowfall! I only have great things to say about this place and Grant, because we only have great memories from our trip. Grant has really made this trip easier on us and we are looking forward to staying at one of Grant's properties in the future! It was such a cozy, warm and welcoming space to ring in the New Year. 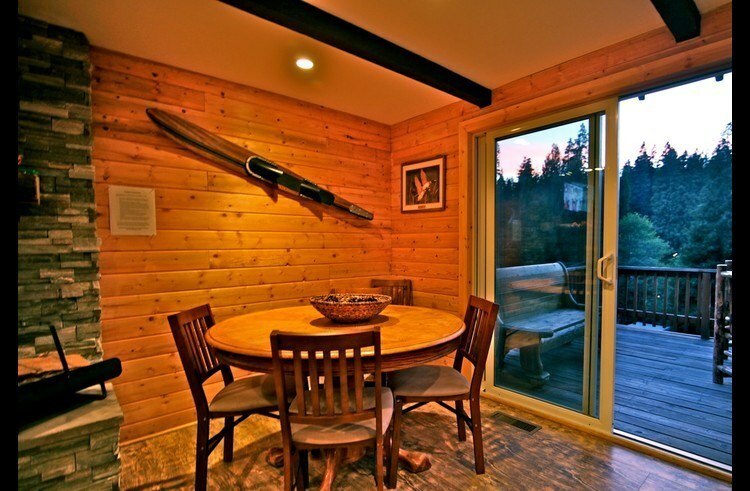 The cabin is very clean and centrally located to the village. Enjoyed many nearby restaurants with the option to shop at the local grocery market. It made it very convienent when preparing food during our stay in the cabin. There is plenty of utensils, pots, pans and cups to accommodate a group of 10. Don't worry about staying warm during the winter months, the central heating and hot water was impeccable. Grant had great communication with us from the time we booked the cabin to the time we left. There was constant emails back and forth with numerous suggestions about necessary items to bring. There were multiple signs posted throughout the cabin that clarify instruction and operation of all the equipment in the cabin. You may have trouble finding the cabin and parking during the snowy winter months, so be prepared to pull out you smartphone. Parking can be tricky, but there are very friendly neighbors to help you out during your stay. We had a great time! Everything was excellent, but we missed the snow. Maybe next year. The kitchen was great and we liked the location! 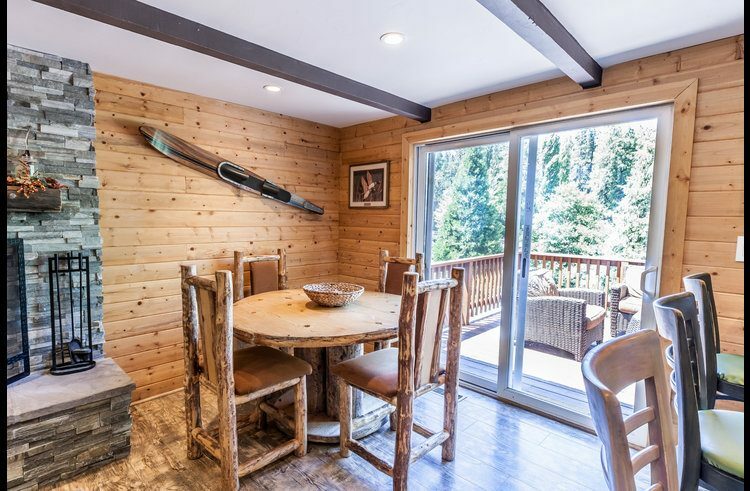 Add Review for Village Chalet - walk to the lake and village!